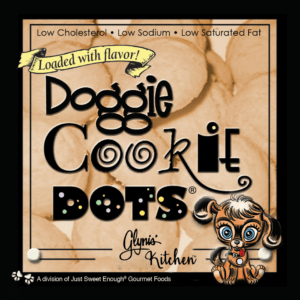 Doggie Cookie Dots are delicious, wholesome treats for your best and loyal friend, — your dog. The Fudge Doggie Cookie Dots® contain carob which is absolutely caffeine free. Carob is high in potassium and calcium, but low in sodium. Carob is also lower in fat and calories than chocolate and is a good sweet alternative for your dog(s). 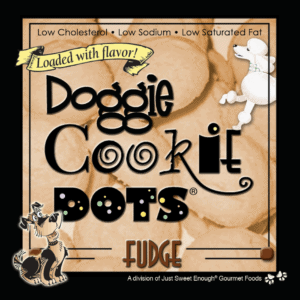 The Fudge Doggie Cookie Dots® taste like a delicious Chocolate Walnut Oatmeal Cookie. 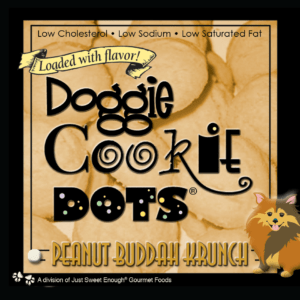 The Peanut Buddah Krunch Doggie Cookie Dots® will have your pet jumping for more. Crunchy peanut butter and Rice Krispies are the main tasty ingredients here!! Your pet will love that snap, crackle, pop flavor and at the same time enjoy the crunchy peanut butter that’ll help his coat to stay pretty and shiny. Mmmm, mmmm, good — and good for your dog. 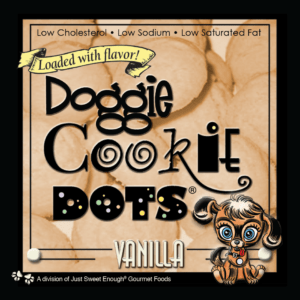 Peanut Buddah Krunch, Vanilla, and Fudge Doggie Cookie Dots® are made with the best ingredients. So good, you can try them too! 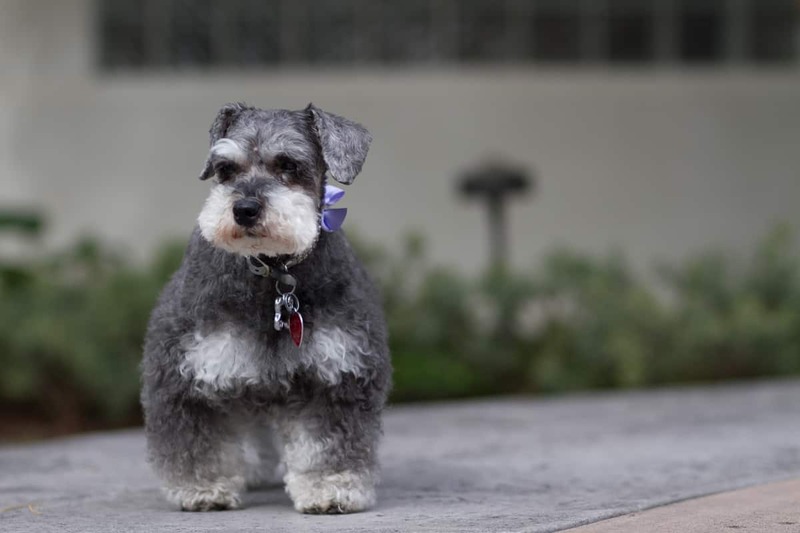 Only 1-2 treats at one time for your fine friend, and he/she will be a happy pet. Doggie Cookie Dots® were made with love, as all of the Just Sweet Enough® products are, and contain no added preservatives. Thanks for giving Just Sweet Enough® the opportunity to satisfy you– and now, your wagging, happy friend.